Catastrophe modeler AIR shook up the insurance world this week with its insured loss estimate for the Caribbean from Hurricane Maria: $40 billion to $85 billion – which would put it on par with Hurricane Katrina and the 2011 Japan earthquake and tsunami as the worst insured catastrophes in history, according to I.I.I. research. The size of AIR’s industry loss estimate has already raised questions among industry analysts, some of whom are questioning the range and believe the eventual industry exposure could be even lower than the bottom end of it. But AIR’s estimate reflects the enormous damage and disruption that hurricane Maria has caused and with Puerto Rico badly hit the final cost to insurance and reinsurance interests is going to be very high. Late Thursday, AIR published an explanation of their estimate. 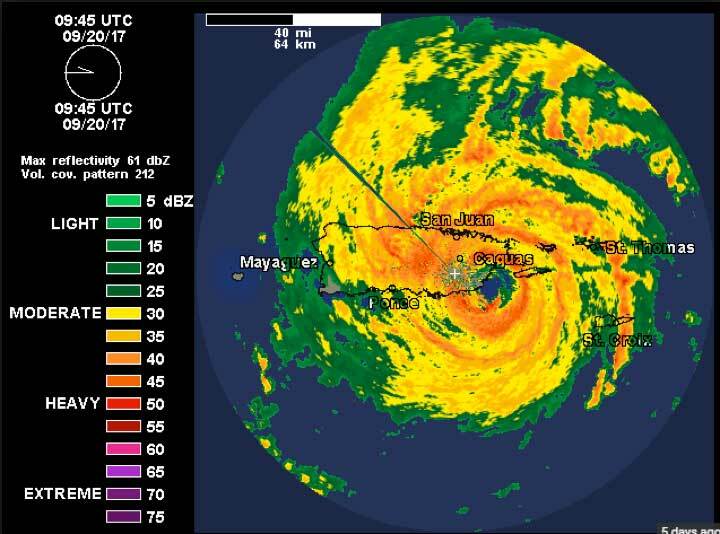 They call it “all but the perfect storm for Puerto Rico.” Intense winds enveloped the island; not a corner escaped. And Puerto Rico, unlike most Caribbean islands, has a significant industrial presence – more than $120 billion, and that is where two-thirds of the AIR’s estimate comes from. How dwellings will contend with the wind vs. water question. How business interruption and business income losses will unfold, particularly among hotels. Other BI issues include how much excess inventory manufacturers have on hand, how soon infrastructure will resuscitate, and whether insurance settlements will be affected by political pressure. Update: As were getting ready to post, RMS explained its pick. TL;DR – industrial buildings on the island are sturdily built, so not much damage. And Karen Clark & Co. puts Puerto Rico losses at $28 billion, in about the same range as RMS.